What a beautiful morning for the walleye opener here in NW Ontario. Sunshine and very moderate temps on Saturday gave way to a few more clouds and a little wind later in the day, but for opening day it was fantastic weather overall. The fish were pretty cooperative as well, with good catches streaming into the fish house pretty much all day. 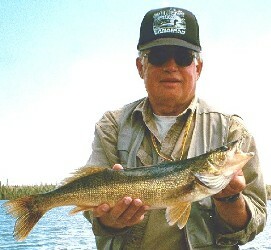 Good walleye catches, including both eaters and decent numbers of fish over 20″. No real monster pike, but several in the 30-35″ class and a lot of smallies for a couple of groups that went after them. All in all, a great kick-off to the season. Biggest pike of the week went to Ron Plotner with a nice 40″ pig, and Dean Weismann took top honors on walleye with a gorgeous 27″ fish. Saturday’s beautiful weather turned into more seasonable temps on Sunday and Monday with some pretty steady rains throughout. Not to be deterred, most everyone that took on the weather was well rewarded for their efforts with good catches of both walleye and pike. 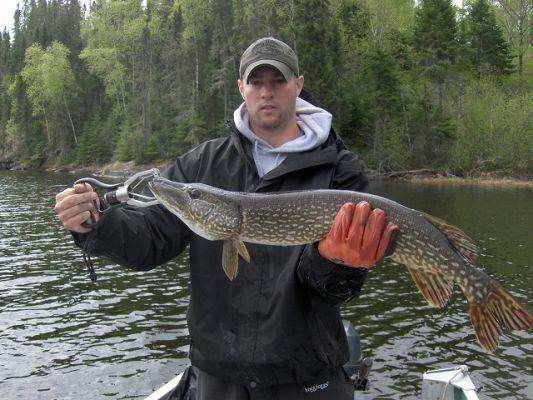 The Logansport, In guys had another great opener with great catches of walleye, smallmouth and some decent pike too. Steve Morgan and his son Jeremy had a nice trip and were thrilled with the results of their trip back to Lost Lake where the walleye were “automatic”. Don Strafford and his son Steve were here (again). Don’s a rookie to this stuff, with this only being his 55th trip to camp! At 86 years old, he seems to love it just as much as always, and we are blessed to have him be able to continue to join us in camp for another opener. ← Ice Out on Wabaskang fast approaching! One Response to 2017 Season Underway! Great report Dave!! I have always enjoyed reading these weekly reports. 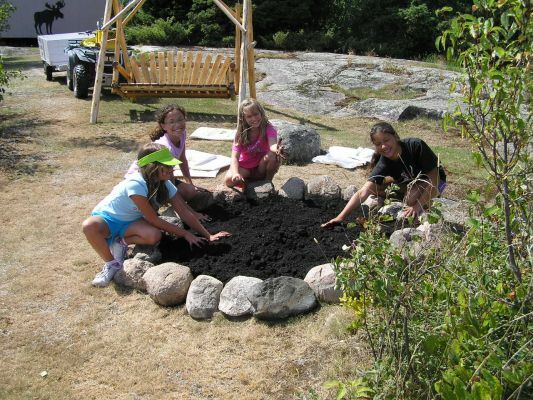 Makes me miss camp just that much more. Looking forward to week 5.